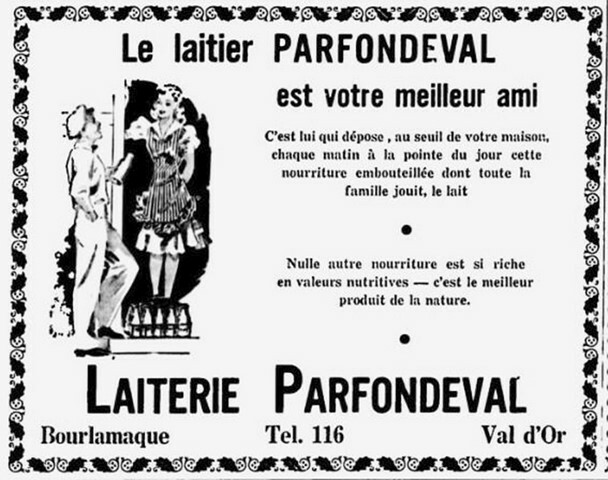 At the beginning, the founders of the Parfondeval Dairy would have been invited by the owners of Bourlamaque mine, to build a dairy to deserve the workers of the mining industry which was in full growth. Like his brother Alphonse, it's in 1914 that Mr. Jean Trudel came to live in Amos. Born in Saint-Prosper, Champlain county, the child of Dollard Trudel, farmer and contractor in road works, and Noémi Jacob, he made his studies at the Ste-Anne-de-la-Pérade College. From 1916 to 1929, he helped his father on the farm and worked for Trudel & Bélanger, tradesmen in meat, in Amos. 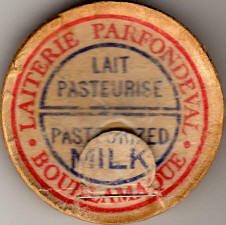 In 1929, he started to learn the milk business when he gets a job from the Hamilton Dairies in Calédonia Ont. He worked there during two years to acquire experience. Then he returned to Quebec where successively, he worked for Shawinigan Dairy, Saint-Tite dairy and the Milk Producers Dairy of Montreal. 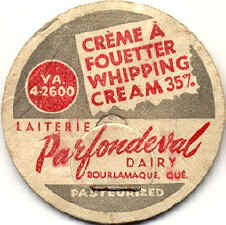 In 1934, in collaboration with his brother Alphonse and Mr. Laurent Paquette, he founded in Bourlamaque, the Parfondeval Dairy Ltd. 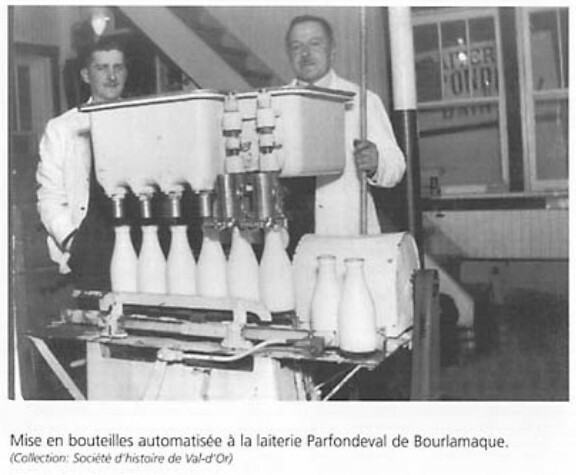 He was graduated from the Dairy School of Saint-Hyacinthe since 1932, he was also specialized in refrigeration. This double experience was really an invaluable contribution for the milk industry. Built as an athlete, from 1920 to 1930, he had a beautiful sporting career as a hockey and a baseball player. He played for several teams in Amos. He was a great amateur of these two sports to which he always brought moral and financial support. Married to Miss Henriette Vézina from Shawinigan Falls, he adopted a child called Michel. 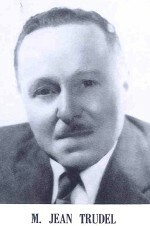 Mr. Alphonse Trudel belongs to a family of pioneers in Abitibi. Born in Saint-Prosper on December 8, 1910, son of Mr. Dollard Trudel and Noémi Jacob which were established in Amos since 1914, Alphonse attended the parochial school in Amos. Then he made his Latin Elements at the "Petit-Séminaire" in Montreal and in 1927, he obtained its commercial diploma at the Lalime Business College of Montreal. At the end of his studies, he worked on the paternal farm and worked at the same time at the silver mine of Amos. 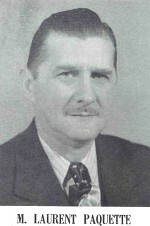 In 1930, this lead him to carry out contracts for the Sullivan Consolidated Mines, from 1930 to 1935. 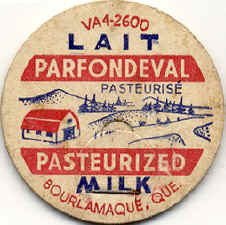 In 1934, he founded with his brother Jean and Mr. Laurent Paquette, the Parfondeval Dairy, of which he became the manager and secretary-treasurer. This establishment draws its name from the Parfondeval domain, which is the place of origin of the Trudel family in the old France. 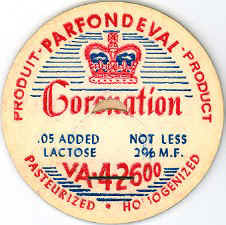 The Parfondeval Dairy makes and distributes all kinds of dairy products and deserves all the North-West of Quebec. Alphonse was Chevalier de Colomb and helped to the foundation of the Chamber of Commerce and the Richelieu Club in Val d'Or Bourlamaque. From his marriage with Miss Thérèse Cloutier of Amos, were born three children: Andrée, Nicole and Yvon. Contrary to Alphonse and Jean Trudel, Mr. Laurent Paquette, had never lived in Abitibi before he came to reside in Val d'Or. Born on September 5, 1904, in St-Césaire, Rouville county, as soon as he finished his studies, he worked in a bakery in his native village. But he soon left that job to continue his career in the milk industry. A 13 years training at the Milk Producers Dairy of Montreal, provided him a solid experience that he used later when he decided to become one of the founders. He then started as the manufacturing director. 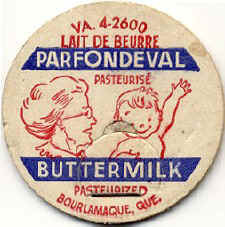 It's also because Laurent made acquaintance with Jean Trudel at the Milk Producers Dairy, that he agreed to become associate. In 1936, the success of the company made him to decide to leave Montreal and to come to reside permanently in Bourlamaque. 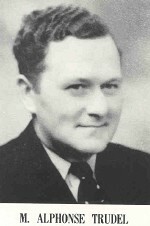 He married Miss Cécile Arès from St-Césaire and they had 4 children, Claude, André, Jean-Guy and Diane. 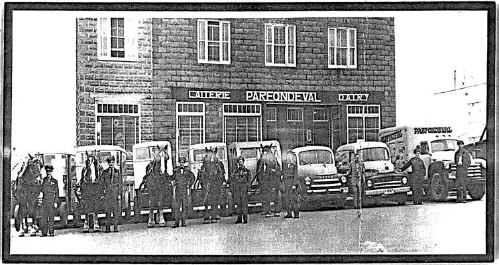 In or about 1959, the ice cream division of the Parfondeval Dairy was sold to Eplett's Company and the Parfondeval Dairy was sold to Dallaire Dary from Rouyn. 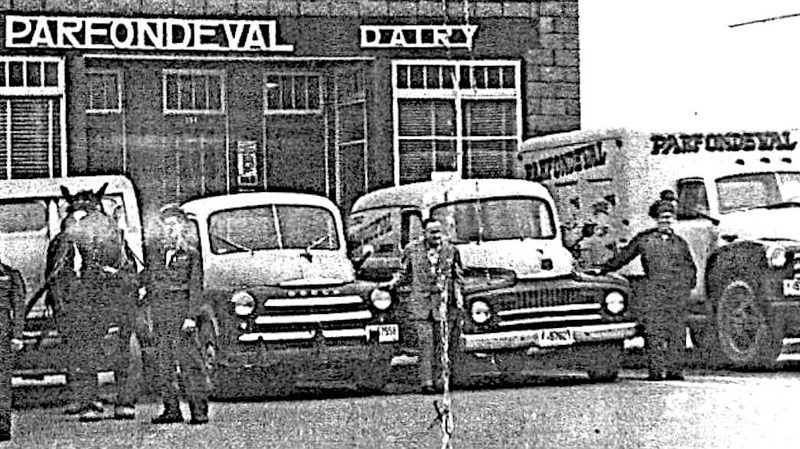 Later, Dallaire Dairy purchased the ice cream division from Eplett's Company.